He is gorgeous! His abs can turn a grown woman into a fangirl and make any man envious! What is it about him? Is it his beautiful sound, his effortless style or the way his abs just gleam, making him one of the sexiest artistes in Nigeria? It must be that gleaming body! 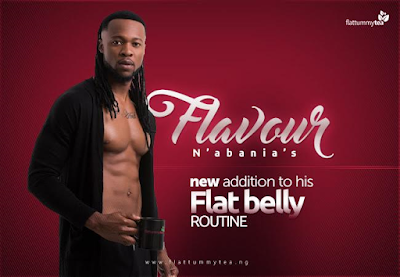 Between his career, responsibilities and fitness, Flavour has to come out winning, with rock-hard abs! This drives the ladies crazy! To double his fitness efforts and come out with winning abs at all time, Flavour introduced Flat Tummy Tea with Moringa into his fitness regimen! 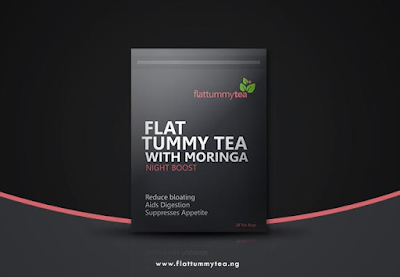 Why do all thesexy celebs choose Flat Tummy Tea with Moringa? Moringa seriously reduces your appetite while increasing your fat burn and energy! Moringaalso prevents excess sugar from converting into fat! Flat Tummy Tea (Night Boost) is packed with Moringa and combined with medically approved weight loss ingredients to create the most effective natural solution for belly fat and weight loss! A nightly cup of Flat Tummy Tea detoxes your liver, increases your bodys ability to burn fat, and ensures you wake up feeling like a slimmer, sexier, version of yourself every day! So start your weight loss journey with Flat Tummy Tea and let this powerful solution help your body work its natural magic for a flatter belly and a slimmer you!